24+ Seeds. Larger Packs available. 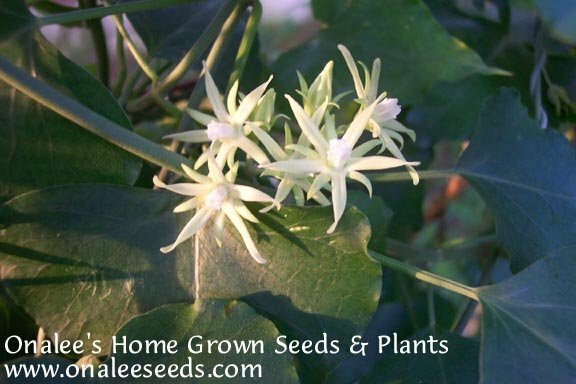 Morrenia odorata or Latex vine is a robust vine with lovely heart shaped leaves that have a light fuzz on them. The blooms are small but have a lovely fragrance, but the eye-catcher on this vine is it's seed pod - the size of a grapefruit! 24+ fresh seeds. (click the drop-down box near the order button to select larger pack sizes at a discount). Morrenia odorata or Latex vine is a robust vine with lovely heart shaped leaves that have a light fuzz on them. The blooms are small but have a lovely fragrance, but the eye-catcher on this vine is it's seed pod - reaching the size of a grapefruit! Vine will easily reach 30" in length. The seeds within the seed pod are like a butterfly weed's seeds with little 'fly aways" on them. These vines are used by butterfly growers as host food for Monarch and Queen butterflies, making them a welcome addition to any butterfly garden! These vines are hardy to zone 8b would need to be grown as annuals or in containers in colder zones. 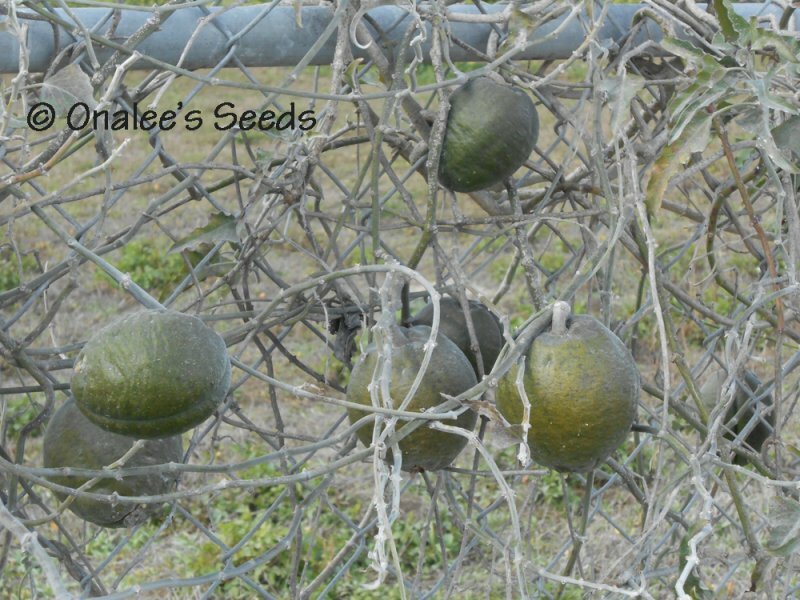 These vines can become invasive in tropical areas in those areas, remove the large seed pods before they break open and spread their numerous seeds to avoid spreading. You can find more information about the ediblity of this plant on www.EatTheWeeds.com (search for 'Strangler').